We are proud to announce the 15 winning photographs of Wiki Loves Monuments 2016. More than 10,700 photographers participated this year, submitting over 275,000 photographs of historic buildings, monuments, and cultural heritage sites to Wikimedia Commons for use on Wikipedia, Wikivoyage, and other free knowledge projects. Thanks to them, more heritage sites from a diverse selection of countries can be explored through Wikipedia. 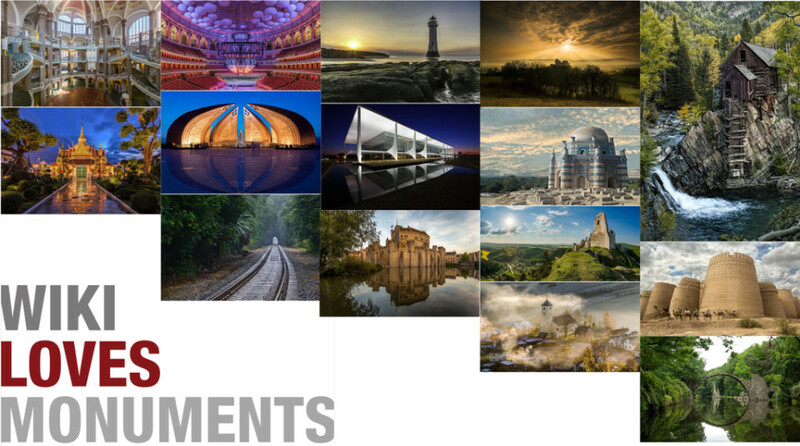 In this year’s contest 42 national competitions organized their own national jury process, and submitted their 392 nominees to this international finale – if you want to explore more beautiful heritage from around the world after this blogpost, you can take a look here. We hope that this will be an encouragement for you to share your photos through Wikimedia Commons as well. You can do that by participating in one of the photo challenges (keep an eye on this blog and @wikimonuments on Twitter), or just by uploading your photos directly. You can start today. Did you enjoy these images? Continue browsing the winners of all the national competitions on Wikimedia Commons! lilyofthewest is a member of the WLM 2017 international team. Absolutely amazing to see 3 photographs from PAKISTAN among the Top 15 winning photos of Wiki Loves Monuments 2016. And another 2 among the final selection of 58 images. Well done Muhammad Ashar, Keep it up. I’m feeling proud for selection of 3 images from Pakistan. All the photographs are beautiful and so proud to see three winners from Pakistan. Well done Ansgar being selected the top. Asher, Usama and Tahsin, excellent work, keep it up. Proud to be Pakistani. Прекрасні фото! Дякую всім учасникам!